TRAVELER’S REST, S.C. — Scott Goldsmith doesn’t want to talk about the hate group list. He’s on the phone inside Dixie Republic, the shop in Travelers Rest that calls itself the largest Confederate store in the South. It’s not the only descriptor the store gets. 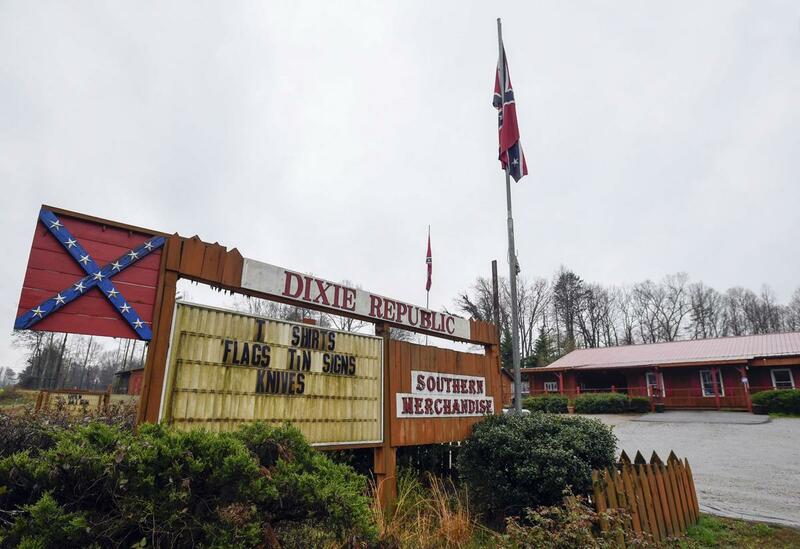 Dixie Republic, a store selling Confederate merchandise in Travelers Rest, has been labeled a hate group by the Southern Poverty Law Center. Every year for the past decade, Dixie Republic has landed on the Southern Poverty Law Center’s annual hate group count right alongside infamous — and sometimes violent — organizations like the Ku Klux Klan and neo-Nazis. Goldsmith said he doesn’t know why. Neither does Brandon Brown, the president of the Greater Travelers Rest Chamber of Commerce, who said he has never heard of the Southern Poverty Law Center and didn’t know much about Dixie Republic, which has never been a member of the local chamber. “What would qualify someone to be a hate group?” he asked. Since 1990, the SPLC has published its annual report on the state of Hate and Extremism in America. According to this year’s findings, South Carolina was home to 17 active hate groups in 2018, including Dixie Republic, a brick-and-mortar outpost with a wood-paneled exterior on U.S. Highway 25. Researchers said they use a specific definition when tabulating who’s hateful and who’s not, and they said they try to err on the side of caution. “For us, this is an organization that, based on its official statements or statements of its leaders, has beliefs or practices that attack or malign an entire class of people,” Heidi Beirich, director of the SPLC’s Intelligence Project, said following the release of the latest annual hate group count. The SPLC, which was founded in 1971 to fight racism and poverty, has come under fire for its so-called Hate Map, where the recorded hate groups are put on a map identifying their approximate location. The nonprofit faces lawsuits from at least three different groups that argue they were mislabeled as a hate group. Dixie Republic was classified under the “neo-Confederate” category, one of 10 main descriptors the SPLC uses to further explain why organizations are included. Rebecca Sturtevant, a spokeswoman for the SPLC, said the first time Dixie Republic was included on the list was in 2009. “We don’t list Dixie Republic on our Hate Map because they sell confederate merchandise or memorabilia. We first began listing them due to the owner/proprietor’s affiliation with the League of the South, a racist, antisemitic, neo-confederate white nationalist group and for selling racist merchandise,” Sturtevant said in a statement. Selling “My Awakening” by David Duke, a former Grand Wizard of the KKK, put the store on the list. But what has kept it on it, The Post and Courier has learned, is a T-shirt. Depending on the size and color, the cotton T-shirt that makes Dixie Republic a labeled hate group costs between $17.95 and $21.95 before shipping. The shirt is for a group called Identity Dixie, which SPLC senior researcher Keegan Hankes said is a white nationalist, neo-Confederate group that grew out of The Right Stuff, a white nationalist group and podcasting site. On Identity Dixie’s homepage, a picture of the T-shirt for sale at Dixie Republic can be seen on the right-hand side. Clicking it sends someone to Dixie Republic’s site to purchase the shirt. Hankes argues commerce can be a form of hate. “If you’re providing financial support for organized hate, it’s organized hate and qualifies you for being on our list,” he said. It’s not the first time a South Carolina store has landed on the SPLC’s hate list. The now-shuttered Redneck Shop in Laurens, which sold items like KKK robes and Confederate bikinis, was run by John Howard, a man who openly boasted about being a longtime Klan member. The storefront was listed as a “general hate” group by the SPLC on its annual hate count until 2012, when Howard stopped running it. Hankes said the SPLC lists stores on its hate group list to inform three main audiences: the general public, law enforcement, and academics who study hate groups. Wayne McCall, a former mayor of Travelers Rest, balked at the assessment. He served as mayor from 2009-2017 and said he knows Goldsmith and his brother. McCall called them good guys. “I don’t think there’s anything racist or biased about what he’s doing,” McCall said. Dixie Republic also has protections under the First Amendment, says G.S. Hans, a professor at Vanderbilt Law School. Barring issues like copyright infringement or defamation, the business can sell the shirts that it wants to. On the flip side, the SPLC also has protections when it labeling hate groups. “Everyone’s allowed to have their speech. That might be frustrating in this specific case, but that is what keeps our conception of free speech functioning,” Hans said. Republican state Sen. Tom Corbin, whose district includes Travelers Rest, said he’s been in the store before, but it has been years. “I just think he’s got a deep love for his Southern heritage, like a lot of people do,” Corbin said. “It doesn’t mean anything to me. They can do what they want,” Goldsmith said, after a reporter told him why Dixie Republic landed on the list. Hankes said businesses and groups can be removed from the hate group list if they publicly and sincerely renounce their racist beliefs. There are other avenues for removal, too. Inside the shop, Goldsmith said he had to go and was busy. 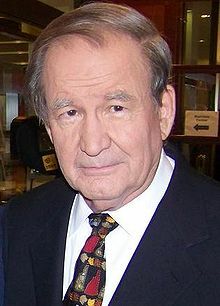 He wasn’t a fan of the SPLC, he said, and they don’t seem to like him. “They started it. I never said anything about them,” he said, not wanting to discuss the hate group listing for a minute more.